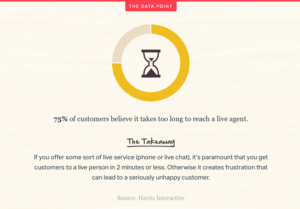 Are you using Facebook Messenger for customer service? Not too long ago Facebook and customer service was a combination that was not used by many, but today, it is revolutionizing the way brands and customers interact with each other. 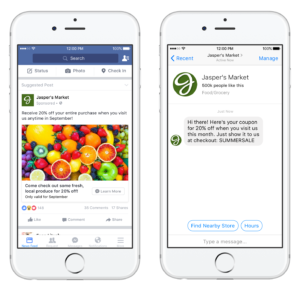 In this article, we’ll discuss why Facebook Messenger is so beneficial for brands in customer service, then look at some ways you can use Messenger to interact with your customers. Facebook Messenger has grown quite a lot the last couple of years, and since its birth, Facebook’s goal has always been to improve the communication process between individuals and make for a better user experience. 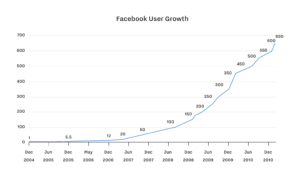 But now, with over 1.7 billion monthly users, we are starting to see a change in how Facebook views the messaging app, and it is quite clear that Facebook has gone from only focusing on the individuals, to also trying to make the platform usable for brands as well – and as a result help strengthen the relationships between brands and customers. In 2015, Facebook introduced its first big update on Messenger dedicated for businesses: Messenger for Business. The update was a huge leap forward in enhancing the experience on the platform for brands, and also the user experience of customers as well. Facebook Messenger has come a long way in only the two years since their Messenger for Business update was introduced, but most importantly, brands and customers have come a long way in terms of using Messenger for what it was set out to be used for by Facebook. Today, seeing brands who are implementing Messenger in their customer service strategy is nothing unique. We’re seeing it being done by all type of brands, and those who can use it properly are finding quite some success by doing so. When Facebook first released their “Messenger for Business” update, 900 million people were using Messenger every day. Seeing the number increase in just two years, going from 900 million to 1.7 Billion is quite impressive all alone, but that’s not all. In 2016, Over one billion messages were being sent to people and businesses on Messenger each month. Today, that number has increased to over 2 billion. According to a study commissioned by Facebook, and done by Nielsen, 1 in 2 says messaging has improved their relationships with brands. Quite staggering numbers. 67% also said that they were planning on using Messenger for communicating with brands. Last but not least, 53% says they are more likely to shop with a business they can message directly. Quite staggering numbers. When reading them, it doesn’t exactly leave us wondering if Messenger works and if it is a good customer service tool. The numbers speak very clearly. However, do not for one second believe that you can use Messenger in whichever way you like because in order achieve great results you need to use the tool effectively and have a clear strategy on how your customer service will work on Facebook. Facebook Destination ads is an update that was released not too long ago (September 12th 2016) that gives you an even broader selection of ads to choose from on the platform. The new form of ads directs users to Messenger, opting them to chat with you. When setting up an ad, you are now able to select Messenger as the destination, right below the website clicks objective. You can use any call-to-action you’d like in your ad, including a “Send Message” call-to-action, leading them to Messenger to contact you. When someone clicks on a Messenger destination ad, it will open up a new messenger conversation with you so that they can instantly chat with you. There’s no point in having, or using Facebook Messenger if no one is contacting with if. Implement a Facebook Messenger code to your profile to let people know that you are approachable and ready to answer any questions your customers might have. The Messenger codes are circular patterns, located around a user’s profile photo, which users can scan to start a Messenger conversation with you. Mesenger code is a fun and quick way for people to contact you, thus encouraging more people to do so. You can use Messenger Codes in ads, on your website or on any other marketing channels to prompt your audience to reach out to you on Messenger. With Messenger greetings, you can insert customized messages in a new message thread before a message is sent, in other words, when people open up the chat to speak to you. This is a feature made for businesses to help them “set a friendly tone” and also including any other relevant text in your message. You can let them know when they should expect a response, or where they should go if they have any complaints etc. To activate and set your greeting messages, go to your page’s Message Settings. Knowing how you should respond to a customer is not something you learn in one day. If they are angry, you take one approach, if they want to praise you, you have another. There are many tips and tricks you should use to enhance the customer experience and make them feel special, but not everyone will know how to do just that. Therefore, it is important that you put the right people to manage all the customer inquiries on Facebook because if you were to have incompetent managers without any experience in customer service, you might just end up harming your brand – a lot. In fact,78% of consumers have bailed on a transaction or not made an intended purchase because of a poor service experience and it takes 12 positive experiences to make up for one unresolved negative experience. Customer service is something you should only put the most experienced people manage because if you do it correctly, it can give tremendous results, however, if you don’t, it will seriously harm your brand. This is a big one, because if you do not respond quickly enough, people will lose patience, and might even leave your brand. You need to put a lot of emphasis on response time on Messenger, especially now that Facebook have implemented “Very responsive to messages” badges. The Very responsive to messages badge is meant to show people which business pages respond to messages and inquiries on Messenger quickly, and consistently. Anyone can see the badge on your profile when you have it, however, when you don’t have it, only the managers of your page and view the responsiveness info on your Page. These are the words from Facebook themselves on how you should use Messenger for customer service successfully. in order to send the right message to each customer, you need to understand them better and get to know them. When you receive a message, you can see exactly who sent it, and visit their profile to learn more about them – before you respond to their message. On their page, you can collect information such as their local time, where they live, order history, interests and more. By collecting this information, you can tailor a message that is right for them and is written in their language. Facebook Messenger has grown immensely in popularity over the years, thus resulting in more people reaching out to brands from the platform. As a result, customers expect brands to be reachable on Facebook as well, and most brands who realize this do. To meet your audience’s will, being active on Messenger and being ready to respond to messages you receive is a must. If you have the budget for it, run Facebook ads where the implemented link leads them to the Messenger app to contact you to get more engaged followers and be ready to answer any questions you might have. Make sure the people who are in charge are experienced in customer service so that they can provide valuable responses that answer the customer’s questions in a good way. Last but not least, make sure you respond within just a few minutes. Humans will quiclöy lose patience if they do not receive an answer and possible go to a competitor of yours.